I have been making homemade bread for a couple of weeks, but when my WonderMill accidentally stopped working, I had to buy flour. 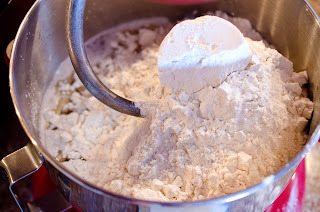 I decided to buy bread flour, white plain bread flour. Of course, since I don't want to make white bread according to the directions, I changed it up a little. I used Coconut Oil instead of butter, and loved the results. 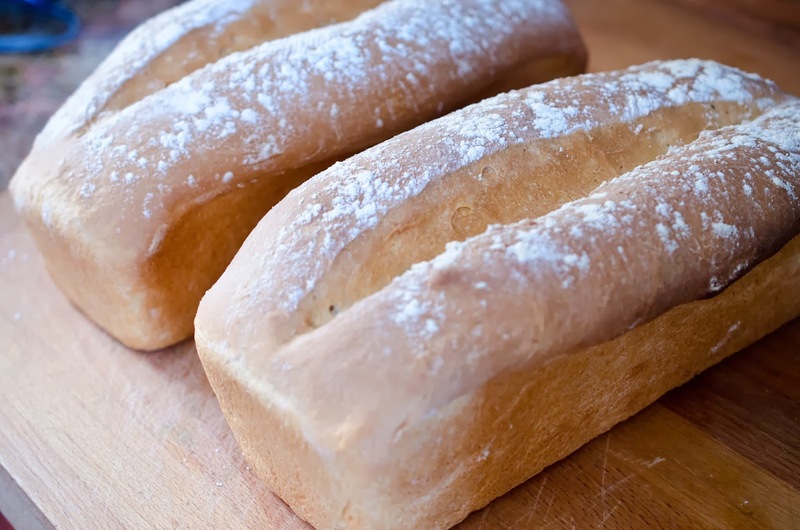 To make this incredible easy bread you will need warm water, bread flour, instant yeast, coconut oil, sugar, and Kosher salt. 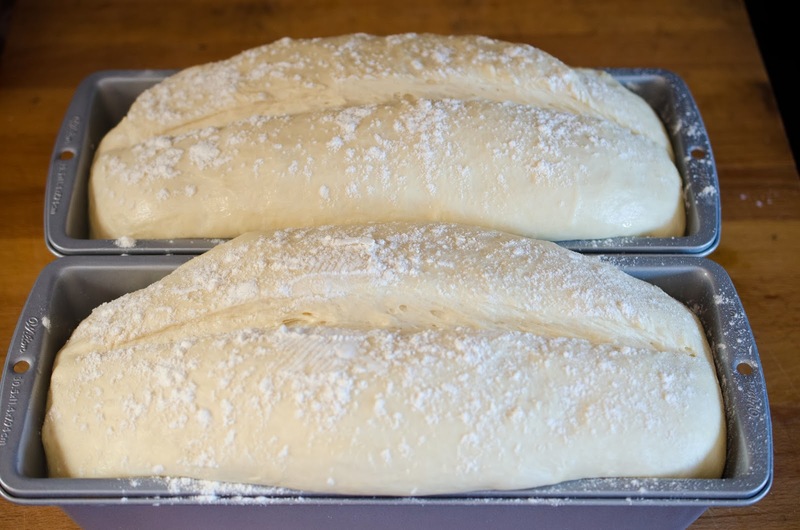 Can you smell that wonderful bread? No, well then we should change that. over the sugar), 1/2 cup melted Coconut Oil, 7 cups bread flour. Add water (I microwave water for 30 seconds), yeast, salt, and sugar into stand mixer bowl. 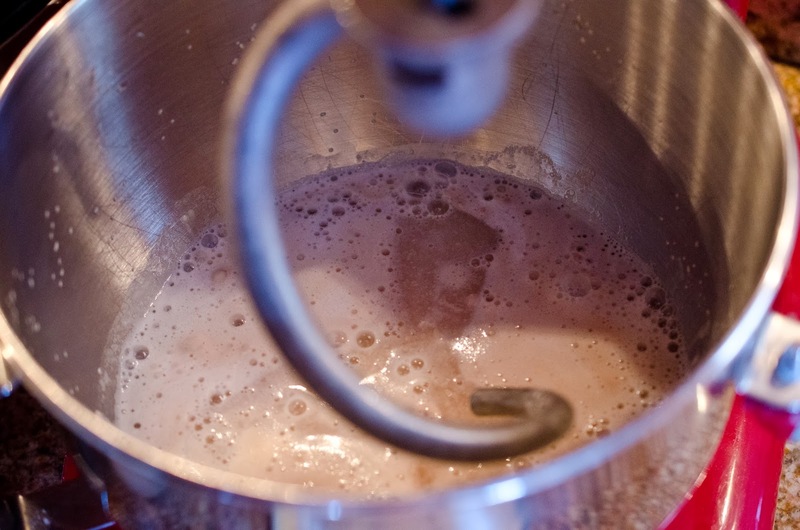 Let foam and get happy. When the yeast is happy, drizzle in Coconut oil and flour. Mix with dough hook until the dough looks thoroughly combined. 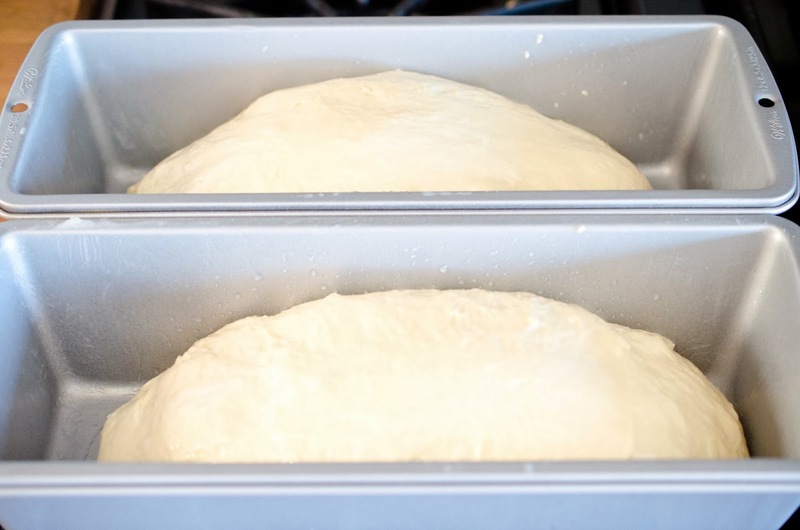 rubbing the sides to get oil on the dough. 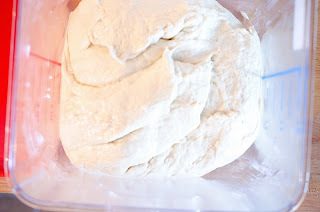 Let dough rest for 2 hours with lid on, or until doubled. If you have a cold counter, try using a heating pad under the container set to medium. 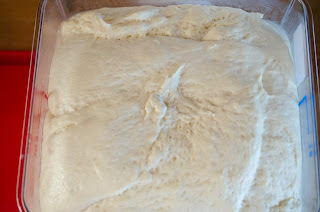 This is dough that has grown up and is ready to move into bread pans, Woo Hoo! and put it in two Coconut Oil greased loaf pans. 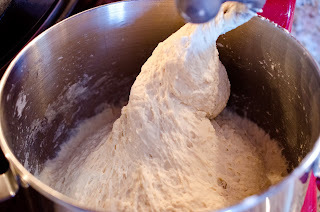 Let dough rest in pans for 40 minutes or until doubled. 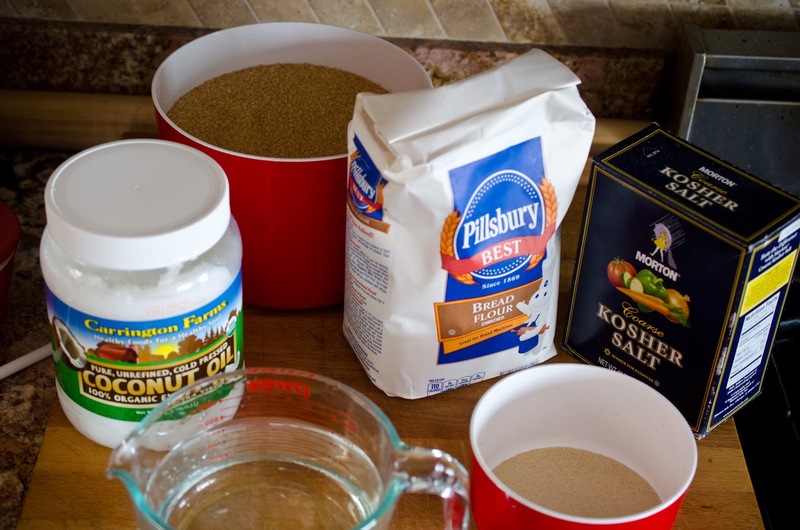 When rested, sprinkle with flour and use a serrated knife to slash the top, also brush top with Coconut Oil. done resting, pour 1 cup of hot water into an oven safe pan (broiler pan also works) on the bottom of your oven and place loaf pans in the middle of oven on rack. 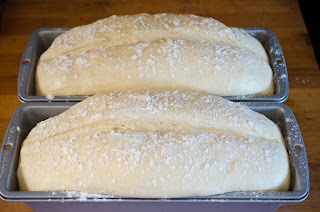 Bake bread for 45 minutes.